The Voice Season 13: Watch the new TV Promo featuring coaches Adam Levine, Blake Shelton, Miley Cyrus and Jennifer Hudson. The Voice season 13 Blind Auditions Sneak Peek: See Adam Levine, Miley Cyrus, Jennifer Hudson, Blake Shelton and Carson Daly take the stage. The Voice coach Adam Levine dropped by the Tonight Show with Jimmy Fallon to mock Blake Shelton and perform “Cold” with Maroon 5. 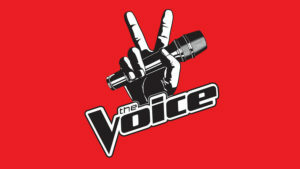 The Voice Renewed for two more seasons, Miley Cyrus, Alicia Keys, Gwen Stefani, Blake Shelton, Adam Levine, Carson Daly return.